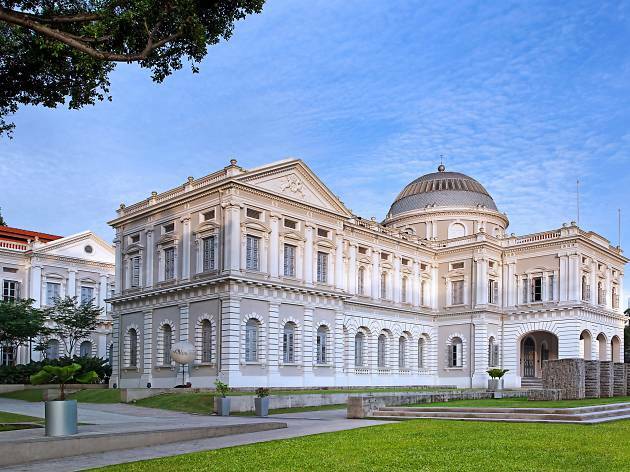 After a mega-bucks ($118 million) refurbishment and rebranding, the Singapore History Museum reopened as the National Museum of Singapore, the largest museum on the island. 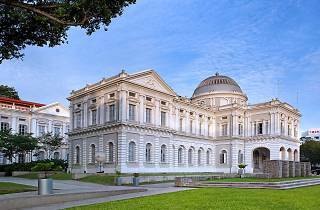 The museum comprises two main galleries: the Singapore History Gallery, which traces the history of Singapore from its beginnings in the 14th century to the present day, and the Singapore Living Galleries, which focus on four lifestyle themes – food, fashion, film and photography. The main gallery is jam-packed with objects and film footage, accompanied by no less than seven hours of audio narrative, explanations, dramatisations and soundscapes. It’s worth a visit just for the building, an imposing neoclassical structure, complemented by modern glass additions. Look out for films shown on the outdoor screen. If a picture’s worth a thousand words, be prepared to ‘read’ a lot about the history of the Singaporean family as this exhibit tells the tale through dozens of family portraits, albums and archival photos. It also features interactive LCD screens that let you reminisce with Singaporean families. The oldest photographic image of Singapore is also on display. Examine the history of women in Singapore through fashion. This display is not only a survey of the wardrobe changes that accompany the blossoming of girls into adulthood, but of women’s changing societal roles. A special section provides insight into the garment-making process. This exhibit will transport you to the two decades between 1950 and 1970 to explore what the ethnic food scene was like back in the day. A display featuring the most frequently used spices in Singaporean cooking will get your tummy grumbling. Treat yourself to viewings of early films and listen to movie theme songs written by P Ramlee, the icon of Malay entertainment. You can also take in lavish Chinese opera costumes and an impressive puppet stage belonging to a southern Chinese troupe from the 1930s.